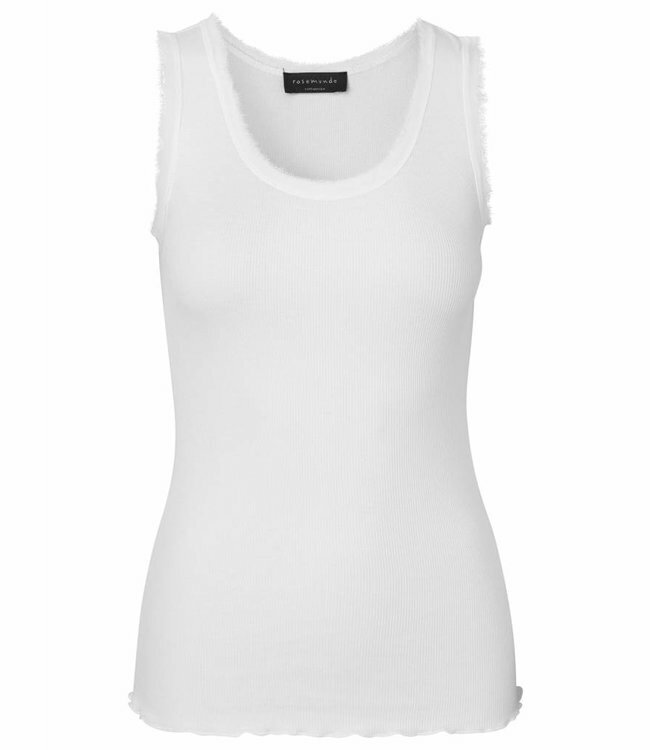 Basic top, fitted at the waist, in mother-of-pearl white, made from a premium-quality blend of 70% silk and 30% cotton. The neckline and sleeve edging features subtly fringed trimming. The medium-size top (M) is approx. 68 cm long.